What is the best rat poison on the market to get rid of rodents cheaply and effectively? It’s the next morning, you’re now observing the aftermath after hearing the war cry of these pests. You’re met with chewed cables, garbage litter, a foul stench emanating from dark hidden spots and not to forget the feces droppings littered all over the house. Yes, we are talking about Rats. There’s, however, a difference between having your house visited by a poor unfortunate rat alone, and having a full-blown rat infestation. Rats are fairly simple creatures. They are motivated by their fundamental needs, which are: food, and shelter. If you leave trash bins with organic scraps open for extended periods of time before you take the trash out, this could be an open opportunity for rats to feed. Open food products which are not properly sealed may also attract rats, like, cereals, biscuits, crisps, rice and other similar items. Some people have a habit of leaving their pets’ food unattended for days. In addition, Rats need an open supply of water to sustain themselves, this explains why rat nests can be found under the fridge or nearby places in the house with leaky pipes and most typically in the sewers! The rat gestation period is around 3 weeks. This means that within a few months, you could have more than 100 rats scurrying about in your house. Furthermore, there are only so many rats you could kill with poison. This is why you need to implement a combination of vermin-ridding techniques. 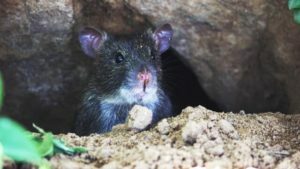 Alone, these techniques may kill a few rats, but when implemented together, the effect will be magnified and more significant. To begin with, cut out the food sources for the rats. Cover your trash during the day and empty it as soon as it is full. Keep your compost bins and trash cans fastened and covered with a lid at all times. Repack and double seal any food in your pantry which has a fragile packing and can be easily broken into by rats. Cleanup the mess: from the living room to the basement to the attic. 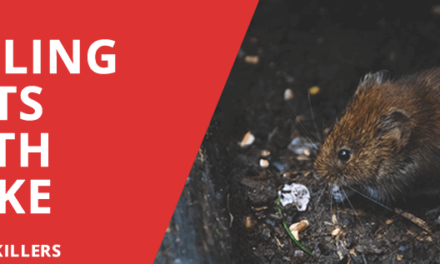 Identify any holes in the floorboards or plaster that potentially serve as gates for these annoying rodents. Seal them up tightly. If a lot of furniture is pretty close to the walls, re-position it and eliminate any dark hiding places. Places in your house which are cool and damp should be cleaned out and the leaky pipes fixed. 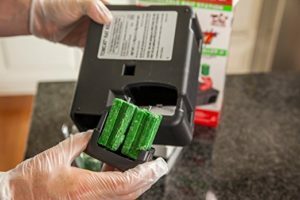 Once you have done all this, you can go ahead and supplement with mouse or rat traps and chemical agents to drive the rodents away from your house for good. Rats can be killed using the best rat poison, but the potency of these chemicals makes them hazardous to humans, and mostly to your domestic pets. 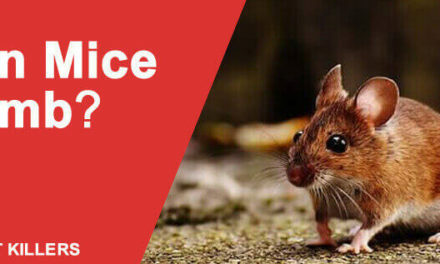 Poisons for rats are not 100% effective at relieving a rat infestation by themselves and should be used in conjunction with other infestation relief tactics for a rat-free home. Neuro toxins, such as Bromethalin, target the brain and the liver. Upon ingestion by the rats, this chemical will cause a fast accumulation of sodium in the rat liver, causing the organ to fail. Furthermore, it also causes fluid buildup in the rat’s brain. The kill time for this type of poison is usually a few hours after the animal has ingested it. Because it is very potent and effective at killing rats, it should be remembered that it can as easily kill other life forms. There is no antidote, yet, for such a poison, so you should only use it if you do not have pets or children in your home. Upon ingestion, these will flood the rat’s body with fat soluble vitamins, including A, D, E and K. This imbalance will cause the rats to eventually die. In comparison to the neurological toxins, this type of poison for rats is slow acting and takes about a day to reach full effect. Rat poisons can also be an anticoagulant. These chemicals interfere with the blood clotting process and clot the blood flow in the rat’s blood vessels. This is a slow process and anticoagulant rat poisons are the slowest acting as they take a few days (at least two or three) to kill the rat after ingestion. Most commonly, like Fumarin, Warfarin is known for being the best rat poison. Chemical methods to kill rats and relieve your house of these creatures can be seen as a cruel method, especially when it involves awarding a painful death to the creatures via the use of anticoagulants and such. In lieu of that, there are many humane methods that you can employ to rid your house of rats and mice, like trapping mice in cages and releasing them in greener areas. This is called live trapping. If you absolutely have to kill the pests in order to get rid of the infestation, it is better to go for a quick kill without poisoning the creatures and letting them live in pain for days. Use instant kill traps. These are the traditional, mechanical traps that can be set up with food as bait. When the food piece is removed by the rats, the trap will shut and kill the rat instantly. Electrocution is a top choice. The process involves pulsing a high voltage through the living body as soon as it makes contact with the trap wire, resulting in a quick kill. Fumigation is a popular choice for those who have a large area of infestation to cover, this is usually done by fumigation experts who load up liquid rat kill in the cylinders and spray it all around the infested area. The airborne chemical poisons the rats, killing them instantly. Like insecticide sprays, Fumigation is a popular choice for those who have a large area of infestation to cover, this is usually done by fumigation experts who load up liquid rat kill in the cylinders and spray it all around the infested area. The airborne chemical poisons the rats, killing them instantly. First of all on the best rat poison list is the Old Cobblers Bait Bar. 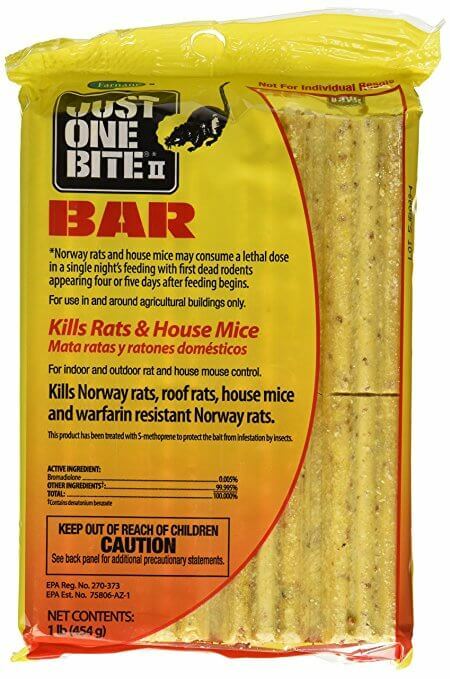 This is a bait product aimed at killing rats and mice. It contains 0.005% of bromadiolone. This chemical is a neurotoxin and will destroy the rat’s nervous system, leading them to a fast death. Bromadiolone is a neurotoxin. Upon ingestion, it will promote fluid collection around the rat brain and sodium concentration in the rat liver. Both these actions will be lethal to the rats, and they will be killed within days. This is a mouse poison that dehydrates. 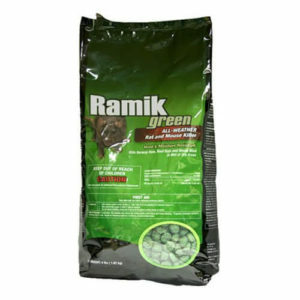 Kills rats which are resistant to an anticoagulant and vitamin based rat poisons. The killing time is long enough for most of the rats to ingest a part of the product before they start showing symptoms. It takes about a week before the product takes effect and begins killing. Animals that feed on rats may get secondary poisoning from consuming dead rats. 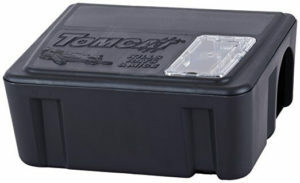 Tomcat Refillable Rat Bait is a trap station which can be set up with bait. The bait is poisonous and will encourage the rats to leave because of its poisonous nature. The contraption is safe to use around homes as it is pet and child resistant, and only rats and mice can access it. Additionally, Tomcat rat bait contains around 30 grams of food bait which the rats will be attracted to. The poisonous nature of the bait will discourage the rats to continue living in the habitat and leave. If they keep feeding on the bait for days, they will eventually die. • Drives away rats and rodents without killing them all which is a humane way to get rid of the infestation. • The bait may not work with the rats if they are resistant to the poisonous contents. 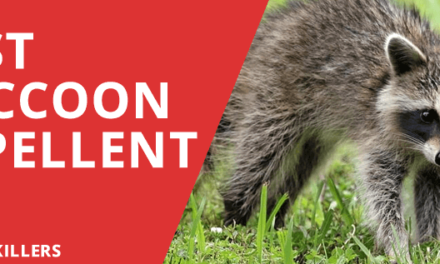 • Owls and other animals feeding on dead rats which have consumed this bait may get secondary poisoning. 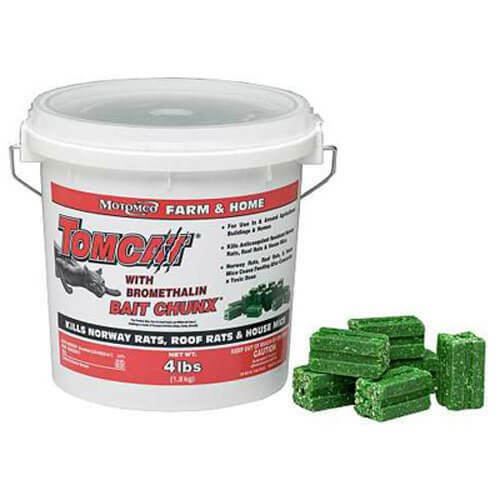 MOTOMCO Tomcat Rat Bait is a rat kill poison that comes in the form of pellets. 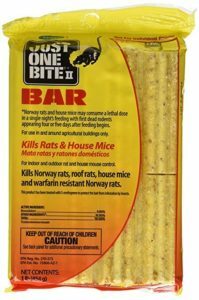 It works to kill all types of rats, including the persistent Norway rats, roof rats, and the house mice as well. Tomcat is manufactured in the USA locally and contains a 0.01% concentration of Bromethalin. Due to the toxic dose, a less amount of this product can be used for more rats. Bromethalin is a neurological toxin that works on the nervous system. When the rats feed on it, the chemical shuts down the rat livers by increasing sodium deposits in the liver. The chemical also leads to an excess production of fluid in the rat brains. Both these anatomical problems kill the rats within hours of ingestion. Works effectively on anticoagulant resistant rats. 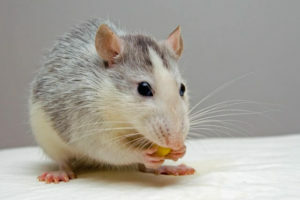 Is economical as it delivers a lethal dose of the chemical to the rats, so they can only take one bite before they run away. Bromethalin is a very powerful neurotoxin and can be lethal to pets if they accidentally ingest it. May not be enough to rid a house of rat infestation on its own. This product is a food bait for rats and comes in the shape of a block. The distinguishing feature is the peanut butter flavor which serves to lure the rats much more successfully than unflavored bait. As part of the best rat poison list, JT Eaton Bait Block contains chemical toxins which cause the rats to die. The block contains anticoagulants which will build up in the rat’s bodies over time and cause clotting problems, eventually leading to death. The active ingredient in this block is 0.005% Diphacinone. It is an anticoagulant and the infused dose of the chemical works to kill the rats by tampering with their blood clotting. Furthermore, the peanut butter flavor serves as an additional attraction for the rats to choose this bait bite over any other food that they encounter, which makes this more effective than regular bait. Attracts more rats, because of the peanut butter flavor, and thus kills more pests. Effectively kills the rat due to the poisonous nature of Diphacinone. Anticoagulants may take days for the poison to work, and require multiple doses. It is not a humane way of getting rid of pests, and the rats will experience days of pain before they die. Last on the best rat poison list is Neogen’s Rat Nuggets is a product which contains poisonous rat bait in the form of little nuggets or pellets. It does not require any special method of using and can be placed inside rat traps like roach baits. The wax free formula makes it incredibly easy to leave around as it does not stick to surfaces. Neogen Rat Nuggets contain deterrent chemicals which are intended to persuade the rats to look for other food sources and switch habitats. There is no major toxin present in the nuggets, but a combination of foul ingredients present will upset the rats’ system, which may in turn cause death. 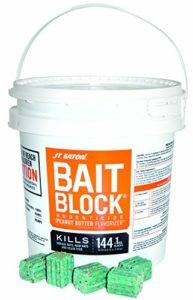 The wax free formula prevents the bait from sticking to the traps. • The product is slow acting and may not work alone to cure a rat infestation. 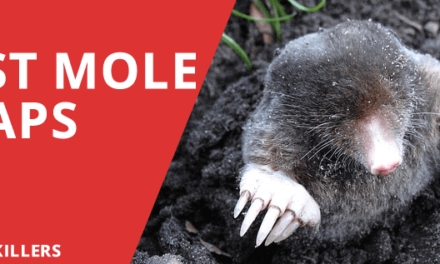 Conclusion – Which is the Best Rat Poison? In conclusion, all the following products are highly effective and should be handled with care. However, MOTOMCO Tomcat Rat Bait may just be the best rat poison. It contains a lethal dose of a neurotoxin which ensures that rats that feed on the bait die instantly within a few hours. It is a much more humane way of killing the rats.